PDAs with a wireless cellular module, aka communicators, are manufactured for various operating systems. The fastest development rates are demonstrated in the sector of devices operated under Windows Mobile 5.0 (WM 5.0). 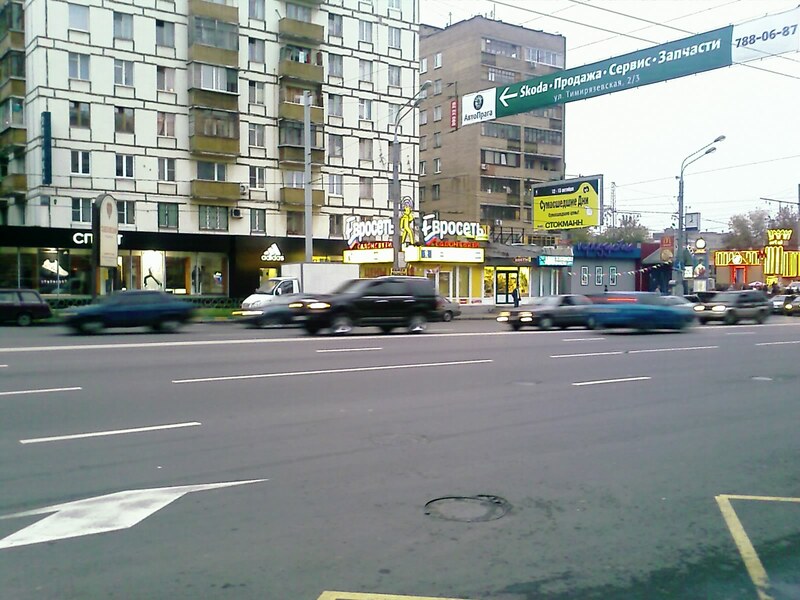 They take up most part of the market of high-performance mobile computers. Such devices are conventionally classified by their controls. 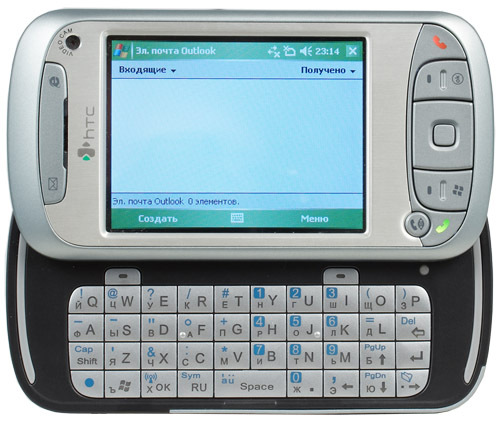 The first group is the largest — candy-bar communicators, resembling very much usual PDAs without a keyboard, for example, Qtek S200, E-Ten M600+, O2 XDA Atom. Communicators from the second group can boast of a QWERTY keyboard or the like. 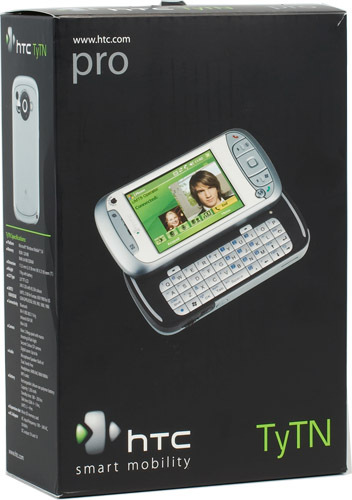 The keyboard can be right on the front panel, like in Palm Treo 700w, or slide out of the device. In the latter case a communicator is a slider consisting of two moving parts that looks like a candy-bar PDA, but just a tad thicker. HTC Wizard platform has been the first and only representative of this class up to recently. More than six months after its release, HTC offered a sequel - Hermes. Several words about the company. 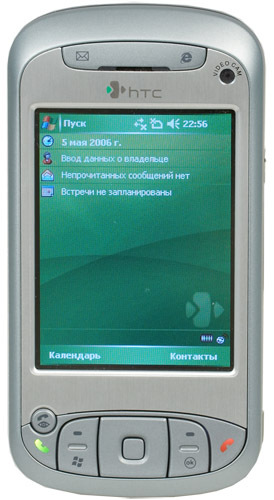 High Tech Computers is the largest manufacturer of mobile solutions under Windows Mobile. All its projects are represented by so-called platforms — ready solutions for third-party companies, which manufacture them under their trademarks for end users. Not long ago the company decided to change its policy. It did not give up licensing their platforms to other manufacturers. But the company decided to start selling communicators under its own brand. For this purpose the company changed its logo and did rebranding. The most noticeable changes were introduced to the web site of the company, which used to contain only general information and Taiwanese contacts. 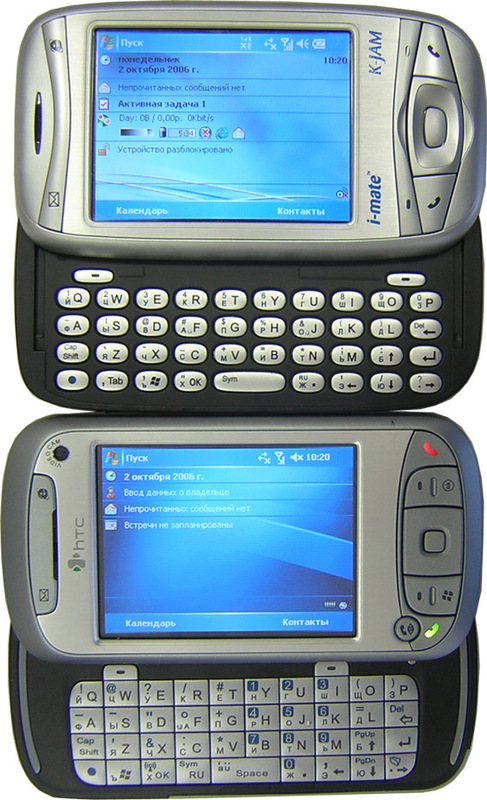 One of the first representatives of the new generation of devices from this company is HTC TyTN based on the Hermes platform, also known as Qtek 9600, XDA Trion, iMate Jasjam, etc. You may read a preview in the article about the Qtek 9600. And now we've got the final modification of the communicator to be sold in Russia. HTC TyTN specifications are published below. 2 Mp CMOS camera LED backlight. Maximum resolution - 1600x1200, macro mode, MPEG4 352x288. A small black box with a white cardboard box inside. The box contains: communicator, battery, charger, USB cable, headset, two styluses, holster, user manual, warranty, and CD with software. All documentation, including the 24-month warranty, is translated into Russian. But you'll have to contact the UK office in case of problems. There is a sticker on the box and the communicator informing you that the device is certified by the Russian Ministry of Communications. If you are already familiar with the Qtek 9600 preview, you'll find nothing new in the exterior of this model. The layout of elements has not been changed and the general design of the communicator is similar to its predecessor — HTC Wizard. The case slides out in two halves, the bottom part contains a QWERTY keyboard. When you open the keyboard, the display changes its orientation from portrait to landscape. It's convenient to hold the communicator with two hands and type with your thumbs. We have noticed no backlashes or skewing after a month of active usage. When closed, the communicator lies well in your palm due to its thickness. Besides, the grip on the communicator in talk mode is convenient as well — phalanges enclasp the sides completely. It's more convenient to use devices the size of your palm than miniature phones, where the mike is far from the "speech source". The case is made of silver and black plastic, which is not easily stained with fingers and is nice to the touch. The front panel houses a plastic insert painted as if it's made of metal. The main group of keys is on the front panel — a four-way joystick with a button in the center, two rocking buttons at the sides. They can be used to close an application window, to open the main menu of the operating system, perform an action from the control panel. There are backlit Call and End buttons near them. The video call button is in the upper left corner of this group. The stroke is small, but the large buttons are convenient. There may be accidental key presses, if you are careless — buttons cannot be locked on the hardware level and the Call button is very close to an edge, fraught with accidental calls. Top of the front panel houses status LEDs, a speaker, and two buttons to open an Internet browser and an e-mail client. There is also a lens of the secondary camera. If you have a look at the profile of this communicator, you'll see that the upper group of buttons, the speaker and LEDs are located on the protruding part of the device. It's very convenient, when you hold the communicator to your ear, and it does not spoil the exterior. The rear panel of the communicator is a battery compartment cover with holes for the camera, LED flash, self-mirror, and external antenna jack. 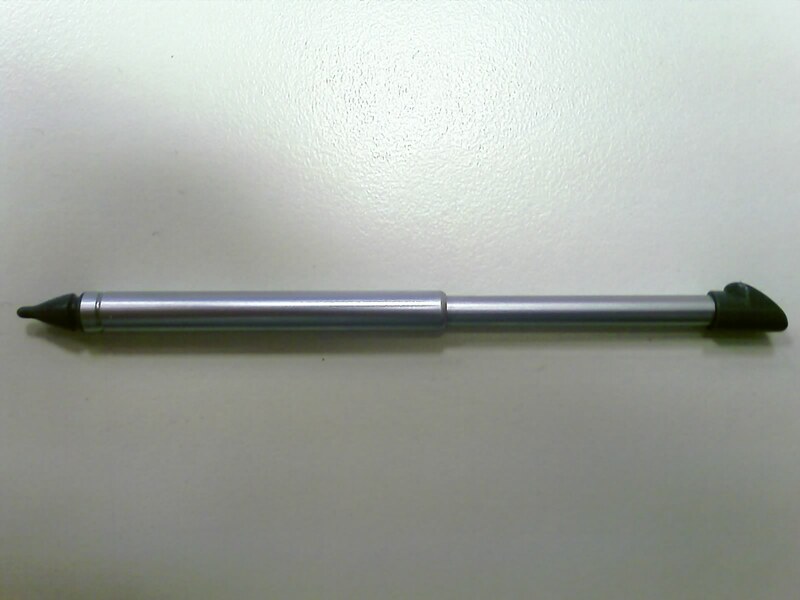 A strap hole is located in the bottom right corner of the device. Both sides of the communicator are used for additional controls. There is a convenient scroll dial on the left. Along with the main functions, it can be pressed to emulate press and hold with a stylus. The voice call and OK buttons are below. The latter can be used to call up the main menu or close a window. The bottom part of the left side houses the microSD slot. The right side contains the Power button and another one to open the wireless manager. The camera button and stylus bay are below. The telescopic stylus is not large and ends in a small sharp tip. The top of the device is free of any controls or connectors. And on the contrary, the bottom is stuffed with them — miniUSB, mike, IrDA, the Reset button, and the latch of the battery compartment. The keyboard consists of 32 buttons plus two keys responsible for the control panel. The keys are not large, you can easily type with two fingers. The buttons are square and slightly convex upwards. You can easily find your bearings blind, even though there is no space between the buttons. The stroke is not long, but the tactile feedback is distinct. The buttons are backlit with blue LEDs. The Latin keyboard layout is usual, its letters are the largest. 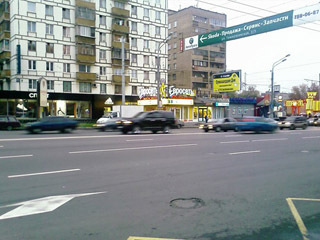 Cyrillic letters are less noticeable. Several of them went to the bottom row near the space button. At first it makes typing difficult, but then you get used to the layout. I missed the Tab button to navigate through fields in a window and some punctuation buttons in the main layout, for example, semicolon. You have to enter them using the character map. The layout of all those controls and connectors raises some questions. Dimensions of the communicator would have allowed a sterling SD/MMC or miniSD memory slot as well as a 3.5/2.5mm connector for a headset, for example on top of the device. Nevertheless, it cannot be done. Users will have to buy expensive microSD cards and miniUSB headsets, which are not available in stores. 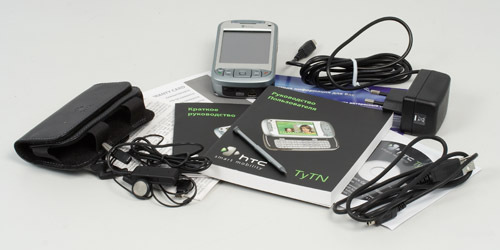 Several photos of the HTC TyTN near its predecessor - a communicator based on the HTC Wizard platform. The Today screen is unusually clean. PDA manufacturers tend to place lots of icons on it. The HTC TyTN differs from such devices here: aside from the standard applications and OS indicators, it contains only two small icons - battery status and a shortcut to Comm Manager. Poorly rigged desktop is compensated by a lot of buttons on the communicator. Besides, necessary functions can be added by installing third-party applications. The following applications are flashed in the communicator, most of them service the device. There are some specific applications. SIM card manager — to copy, edit, and delete contacts in a SIM card and exchange them with system memory. SIM Menu — a convenient and nice-looking SIM card menu. MIDlet Manager — virtual Java machine. It allows to run java-midlets stored in memory. The Russian translation is of mediocre quality, there are occasional unreadable symbols. ClearVue PDF — to read documents in the popular PDF format. Zip — as follows from the name of the program, it works with ZIP archives. Wireless modem — to use the communicator as a modem. SAP Configuration — adds another profile to the standard Bluetooth profiles — Remote SIM Access. It grants access to the SIM card to other devices, for example a car intercom. Clear Storage — a counterpart of hard-reset to roll back to factory defaults and remove all installed software. Various information about hardware and software components of the communicator is displayed in the Device Info utility. The 2.8" TFT panel offers the standard resolution for this class of devices (320x240). There is noting special about the display in the HTC TyTN. Angles of view, color depth satisfy all requirements. Two of you may watch a movie. Colors are not inverted up to the sharpest angles of view. Setting brightness to minimum disables the backlight. Setting it to maximum at night may temporary blind you. But you won't notice the difference under bright sunlight. There are few brightness levels, and they are nearly indiscernible by eye. The HTC TyTN is equipped with a single speaker on the front panel of the device. Unlike this communicator, most modern models are equipped with two speakers: one for talks, the other for the main mode. Perhaps the reason for using only one speaker on the front panel is because the communicator is designed for 3G networks, where a device in the video call mode is held far from a speaker and that person should hear well his or her interlocutor. This feature is noticeable in hands free mode, when the speaker is loud enough even for a noisy room. Which cannot be said about the mike on the bottom of the device. You can remedy the situation by enabling automatic amplification of the microphone. The communicator comes shipped with a stereo headset for miniUSB (we have already mentioned it). It's equipped with a volume control (slider) and the reply button. The audio quality and volume are good enough, though the headset looks plain. 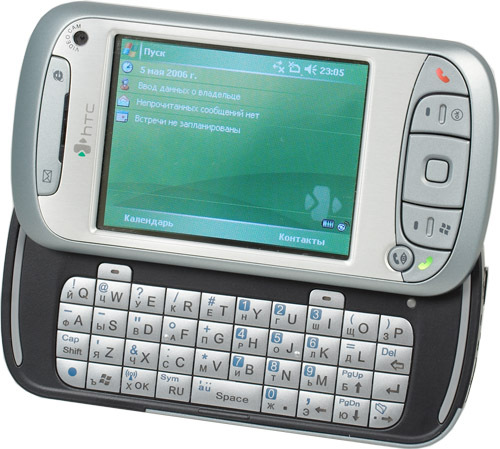 The HTC TyTN is rigged up with wireless interfaces to the brims, it's even excessive for our conditions in Russia. We can learn the date when 3G networks will appear in our parts only by reading the tea-leaves. Nevertheless, the communicator has everything necessary for UMTS. Popular interfaces are all included: Infrared IrDA SIR, Bluetooth 2.0, and Wi-Fi IEEE 802.11b/g. All communication interfaces and modules are controlled in Communications Manager, which can be started by pressing a corresponding button on the left side or its icon on the Today screen. Along with managing communication modules, you can also quickly disable the speaker, break a GPRS/EDGE connection and synchronization with a computer. A separate icon is responsible for Push mail messages. Bluetooth uses the standard stack from Microsoft, included into the operating system. Its main drawback is only few profiles. We had no gripes with its operation. You can control Wi-Fi only through a single utility. Several tabbed pages of the program contain lots of indicators and settings, including detailed configuration of power consumption of the communication module. Connecting to a Wi-Fi network and Internet takes up just several seconds and poses no problems. The Connections menu contains utilities for configuring GPRS authentication, USB connection type, and CSD line type, as well as standard OS utilities. 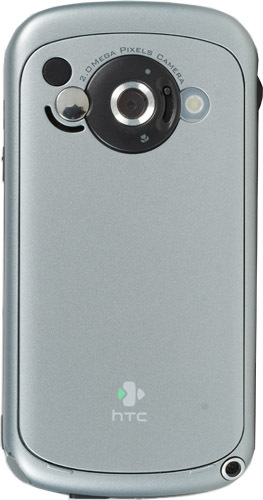 The HTC TyTN is equipped with two cameras on the front and rear panels. The first one is known to use CMOS sensor with the CIF resolution of 352x288. It's used for video calls in 3G networks. The main camera is on the rear panel and is surrounded by a LED flash and a self-mirror. Camera resolution is also specified there (2 Mp). We also know that the camera uses a CMOS sensor that can take 1600x1200 photos and capture 352x288 video. The camera is controlled with a cognominal application to be started with a separate button on the left side, it's also responsible for shutter release. 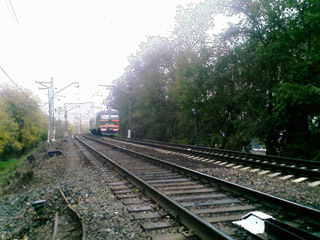 The following settings are available on the main screen of the camera applet: resolution, digital zoom, exposure, flash, brightness, and timer. The applet menu contains the following options: shutter delay, sepia, black and white, negative, cold gamma, exposure metering, and several shooting modes. The macro switch reduces the focusing distance of the lens, so that you could make good photos of objects at 5-10 cm. The camera captures video in MPEG4 format. Judging from the TCPMP player info, it uses MPEG4 DivX/XviD codec, 352x288, GSM AMR-NB Mono audio. There is no limit to video length, it can be stored in a memory card as well as in system memory. Sample video. Photo and video quality is just a tad better than that of other communicators. Serious cameras with auto focus and stabilization, installed in some mobile handsets, are not used in expensive WM communicators yet. The TyTN device demonstrated the following battery results in the standard operating modes: reading ebooks in Haali Reader with 75% backlight for 13 hours, playing music in GSPlayer with disabled display — 15 hours. Maximum load discharges the battery for 3 hours 30 minutes, all wireless interfaces are enabled, a video clip is played back. According to the manufacturer, the 1300 mAh battery should last 200 hours in standby mode. In practice, having charged the communicator on Saturday night and then inserted a SIM card, I had to recharge it on Thursday morning. Thus, battery time in the least loaded mode is about 150 hours — quite a good result compared to competitors of this communicator. There are two ways to recharge the battery, like in other PDAs - from a charger and from a USB port of a computer. In the first case, the battery is charged to 100% for less than two hours. In the second case - almost for four hours. Besides, the battery cannot pass the 90% barrier for nearly two hours. You cannot control the charge speed. Battery life of the HTC TyTN is better than in the other communicators. Insignificant advantage is noticeable in all modes, especially in those that consume most resources. But it's still far from Asus A636 the champion. Samsung processors are used in various mobile devices more and more often, pushing the other manufacturers out. The most popular model of a processor (400MHz) is used in many PDAs, the HTC TyTN being one of them. We have chosen three communicators to compare with the new model in Spb Benchmark. Two of them are equipped with Intel XScale 416MHz. The E-Ten M600+ uses a similar processor from Samsung. Test results are published in the table. Unfortunately, the HTC TyTN is inferior to the contenders almost in all parameters. But the lag is not critical. It remain practically imperceptible for users, except for one parameter. The graphics index is several times as low as those of the other devices. If we ignore this result (especially as it's not confirmed by real operations) the HTC TyTN offers as much performance as the cohort of modern communicators. The situation with syncing speed is contrary. We don't understand the difference between the HTC TyTN and its competitors in this aspect, but it outperforms them all. The advantage is especially noticeable, if you pay your attention to the real speed instead of the index in this test. The traditional video playback test demonstrated the result of 87%. Playback speed was measured in The Core Pocket Media Player (TCPMP) 0.71. We used a test video fragment with the following parameters: 1.5 Mbit/sec stream, 512x384, DivX. This result is higher than those of its competitors. It comes close to comfortable video playback values. Spb Benchmark Graphics results again seem strange, they differ much from the TCPMP index. Performance conclusions are clear - the new model satisfies the requirements of this class of devices. Its performance will be sufficient for most tasks, except for HD video playback. The HTC TyTN is a successful platform. The manufacturer added support for 3G networks, increased performance, updated interfaces. 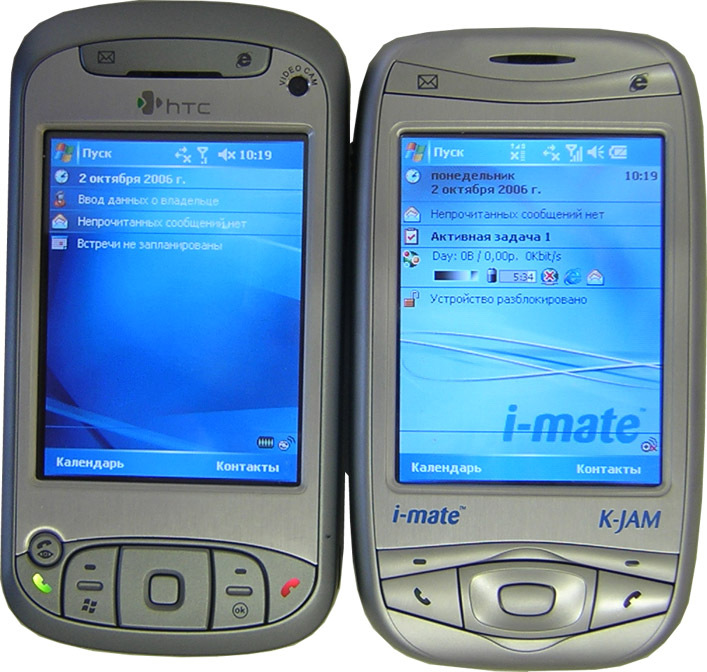 Communicators of the similar form factor under Windows Mobile can be counted on the fingers of one hand, they are clones of one or two main models. Advantages of the QWERTY keyboard become apparent after you have worked with this device for several days. And then you will miss this ease and speed of typing texts very much. Editing large documents is still out of the question (due to a small display). The keyboard makes it more convenient to use various instant messengers, chats, and SMS, of course. We should thank developers for the dial - it's a very convenient component, unfairly forgotten by other PDA manufacturers. And now several flies to the ointment — we have already mentioned the unusual miniUSB headset and microSD slot. And wishes — USB host and FM radio. If the above-mentioned drawbacks are fixed and those features are added, this device will become a true dream of any user of mobile devices.